The second it even hints at getting warm outside, we’re rushing out to buy a fresh batch of charcoal, roll out the grill and cook outside. We have a strong belief that you can really cook almost anything on a simple kettle grill and that almost anything tastes a little better when touched with smoke and fire. One of the known secrets of going past ‘beginner’ grilling is learning how to build a two-zone fire. The basic premise, which we originally learned from the extremely excellent BBQ Bible many years ago, is that by raking all the coals to one side you create two distinct cooking areas that have different properties. 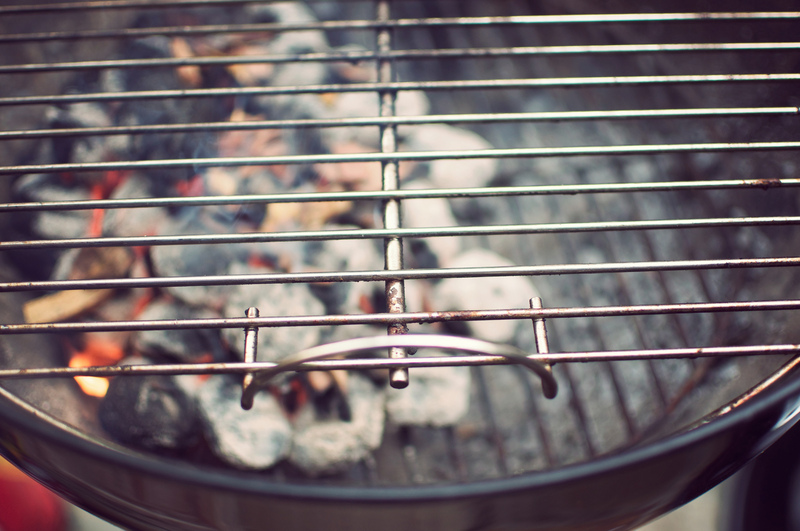 Right above the coals is your direct cooking area, for searing and finishing the outside of meat and veggies. The other side, without the coals becomes the indirect cooking area, you use this like a smokey oven - slow cooking or fully bringing meats and veggies up to the proper temperature. What this really gives you is control which in turn lets you do more advanced things like big roasts or delicate veggies. Bon Appetit has a nice little how-to here.